Using advanced cosmetic dentistry techniques such as teeth whitening, porcelain veneers and crowns, our can improve the overall appearance of your teeth. Trust Coburg Dental Group to create the dream smile you’ve always wanted. Conventional cosmetic dentistry includes the use of porcelain veneers or ceramic crowns to improve the appearance of misaligned or crooked teeth. 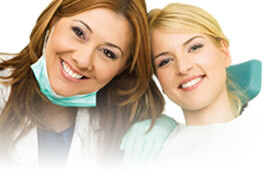 Teeth whitening is also a very popular cosmetic procedure. It addresses tooth discolouration and provides you with a more youthful, attractive smile in just one hour. In the case of porcelain veneers, ceramic crowns and gum lifts, a mock-up appointment with resin materials allows you to visualise and discuss your options with your cosmetic dentist before treatment. A separate ‘dress rehearsal’ appointment at our Melbourne dental clinic can also greatly help us to achieve a truly beautiful smile for many years to come. For high quality porcelain veneers, ceramic crowns and teeth whitening, or to find out more about your options, call Coburg Dental Group on 03 9386 1805 or make an appointment online.